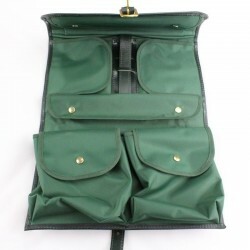 This Military Wet Pack is based on the wash kit supplied to the army in the 1920's. 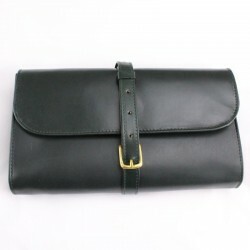 This high quality product is made from English Bridle leather which will soften with age and use, used here in a dark green. Made in England. 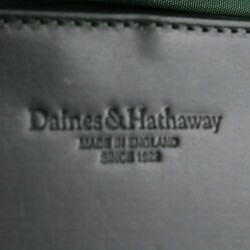 This Military Wet Pack is based on the wash kit supplied to the army since the 1920's. 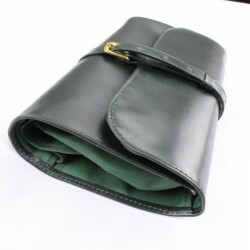 This high quality product is made from English Bridle Leather which will soften with age and use, used here in a dark green. Made in England. 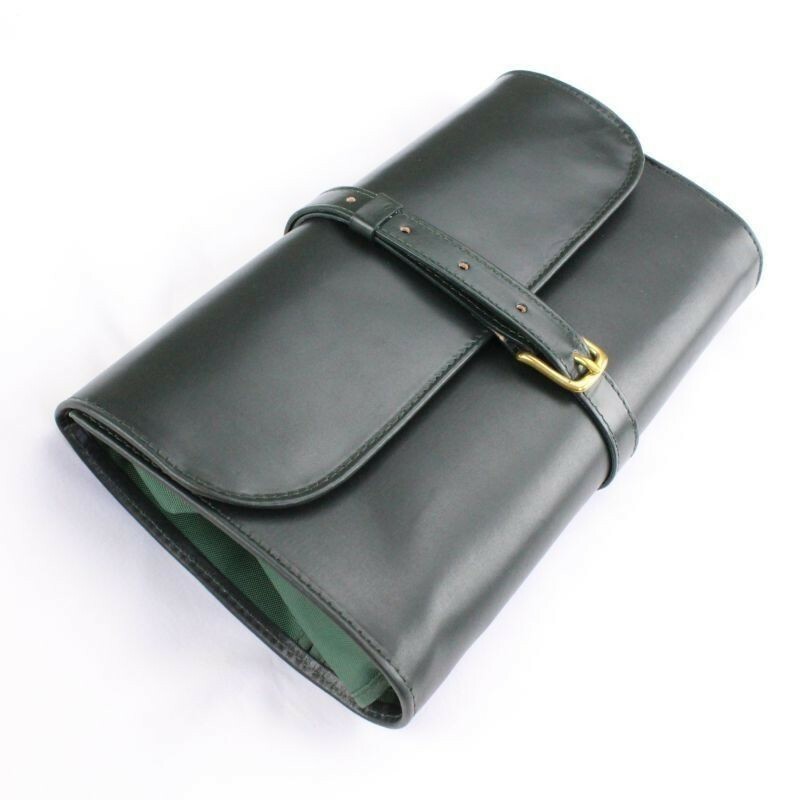 It features a green waterproof lining with 2 rectangular and 2 square compartments closed by press studs to keep your items secure. 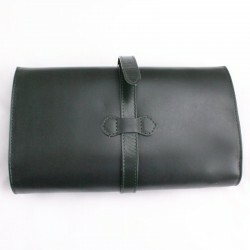 It folds up neatly and is fastened with a starp and buckle fastening. Dimensions - W25.5cms x H15cms.